Ebury Press First edition, 2014. 306 pages with lots of photographs, some in colour. Mint condition hardback book and dustjacket. Clean and tight. 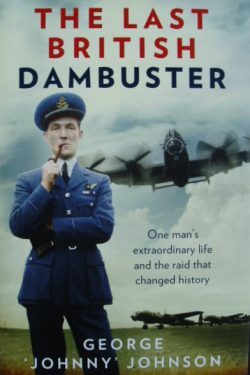 The story of the Bomb Aimer for Joe McCarthy’s Lancaster on the Dams Raid. On 16 May 1943 Johnny, alongside 132 other specially selected airmen, took off from Scampton airbase to fulfil one near impossible mission: to destroy three dams deep within Germany’s Ruhr Valley. It was a daring task but, against the odds, Johnny and his crew survived. Sadly, 53 comrades did not. Johnny relives every moment of that fateful night and the devastating aftermath. 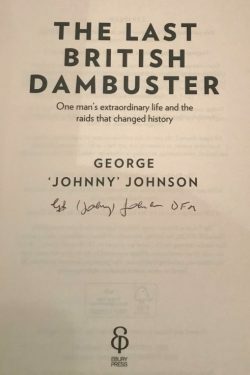 He recalls with unique wit and insight the difficult training conducted in secrecy, the race against time to release the bombs, and the sheer strength and bravery shown by a small unit faced with great adversity and uncertainty. Johnny’s story is like no other. NB. This book is located in Canada so postage cost should be considered.